Find the support you are looking for with Hansen Law Offices' legal aid for a wide range of services, including debt and bankruptcy law (Chapter 7). We can help stop bill collection activities immediately. Chapter 7 bankruptcy allows you and your family to get a fresh financial start. We know how to fight insurance companies for you. Our personal injury lawyer and team don't stop until your individual justice is served. Our law firm specializes in various injuries, car accidents, trucking accidents, tire defects, air bag defects, seat belt defects, product defects, and wrongful death. We will take an aggressive approach with your criminal case. Our criminal law team will provide you with the best possible defense and representation. From assault, burglary, domestic abuse, drug possession, drunk driving, sexual assault, and any other felony or misdemeanor, we can handle the criminal charge you are facing. Peter Hansen is a former prosecutor and has over 35 years of experience in bankruptcy, criminal law, and personal injury. This allows the firm to process your case both thoughtfully and efficiently with an unobstructed view of all aspects of the case. Check out our page and Like Us on Facebook™. At Hansen Law Offices, our results bring relief to our clients. Whether you find yourself in financial debt, criminal trouble, or the victim of an automobile accident, the Burlington, IA law firm of Hansen Law Offices will help you fight for your future. Hansen Law Offices does not guarantee any case results. The description of cases, trial results and settlements described on this web site are actual case results handled by the firm, but these results are only representative of the bankruptcy, criminal defense, and personal injury cases we handle and do not guarantee future results. Each case is unique and must be judged on its own merits, facts, and conditions. The determination of the need for legal services and the choice of a lawyer are extremely important decisions and should not be based solely upon advertisements, certification, specialization or self-proclaimed expertise. This disclosure is required by rule of the Supreme Court of Iowa. A description or indication of limitation of practice does not mean that any agency or board has certified such lawyers as specialist or expert in an indicated field of law practice, nor does it mean that such lawyer is necessarily any more expert or competent than any other lawyer. All potential clients are urged to make their own independent investigation and evaluation of any lawyer being considered. We are a designated debt relief agency. We help consumers seeking relief under the bankruptcy code. 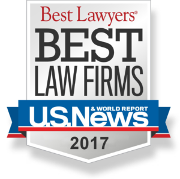 Contact us to discover the rewards of using an extraordinary law firm.